The third day of Balloon use during half term saw the same output as the previous two days apart from flat-fronted Coral Island Balloon 707 substituting for modernised Balloon 713. The weather deteriorated even further today, with strong winds and heavy cloud during the morning giving way to heavy rain showers by lunchtime. 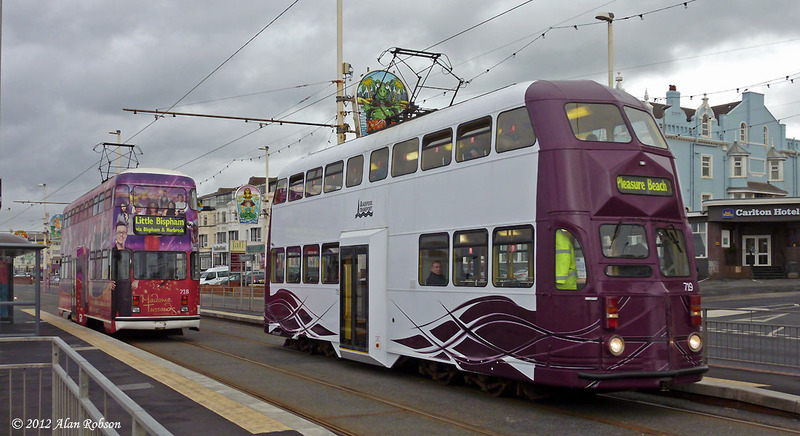 Tuesday saw the second day of the Balloon experiment, with the same five trams running the daytime specials as yesterday. There was a lot less sun around today, the weather becoming particularly dark and gloomy after lunchtime. 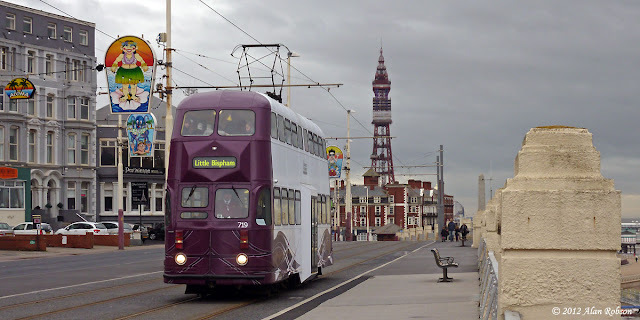 The day saw the occasional short working again, with 719 turning back at the Tower in the morning instead of running through to Little Bispham. 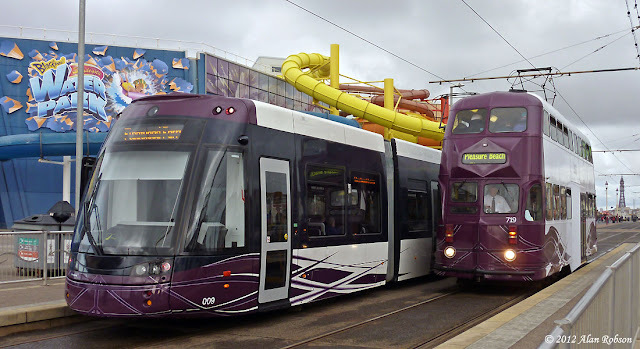 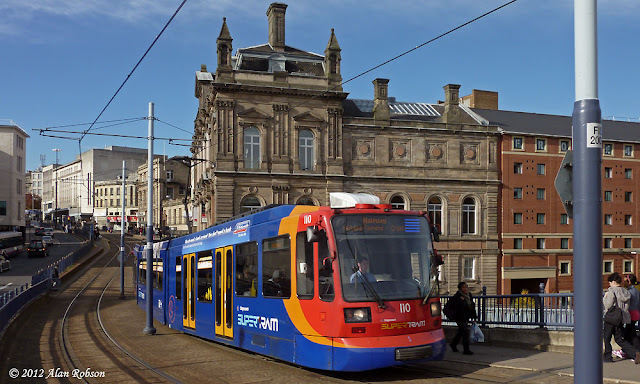 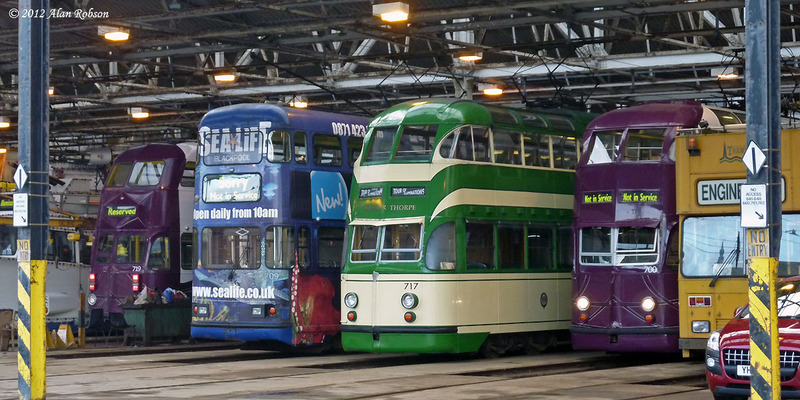 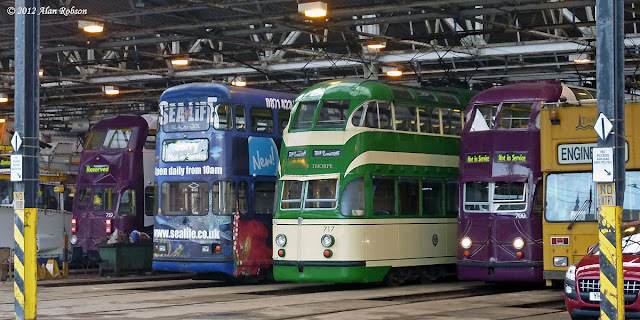 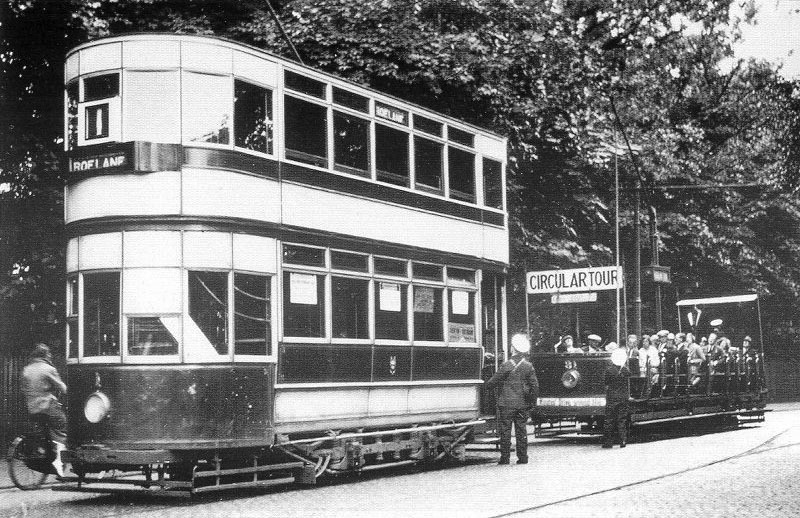 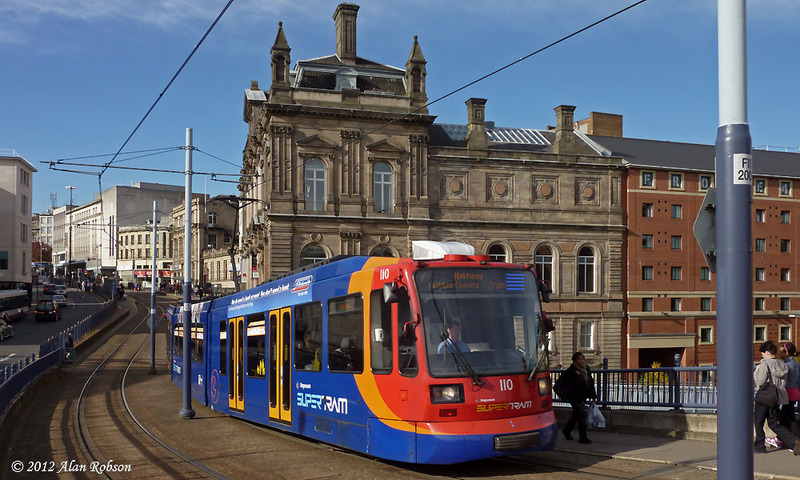 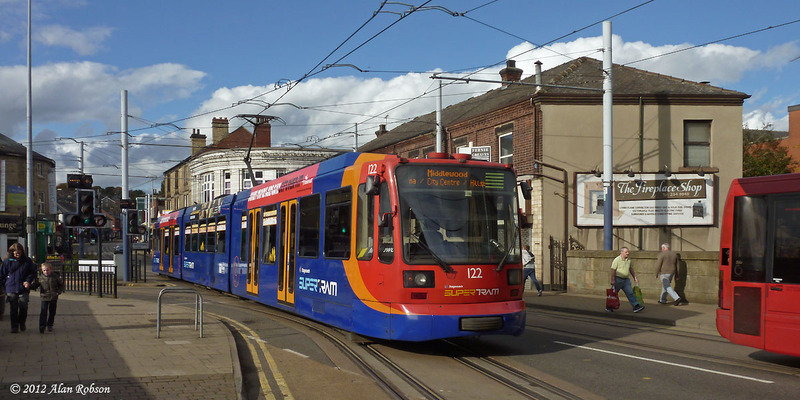 The trams entered service in the order 719, 713, 709, 718 and 700. Monday 29th October saw the beginning of the five day experiment to test out running Balloons on specials in between the timetabled core Flexity service. 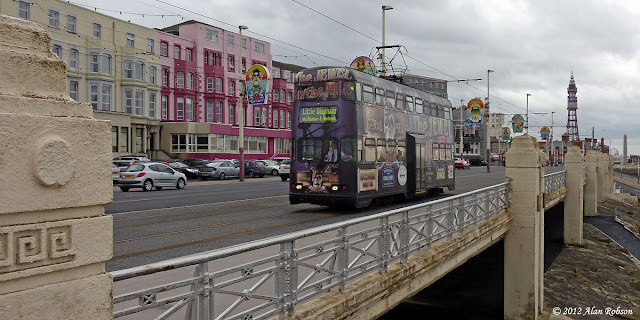 Five Balloons were used on the first day of operations, notably 700, 709, 713, 718 and 719, running from Pleasure Beach to Little Bispham in between the service cars. 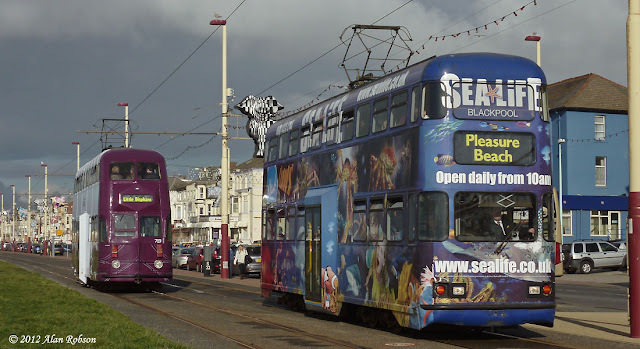 Predictably things didn't always go according to plan, with the specials ending up bunched towards the south or north of their area of operation at times during the day. 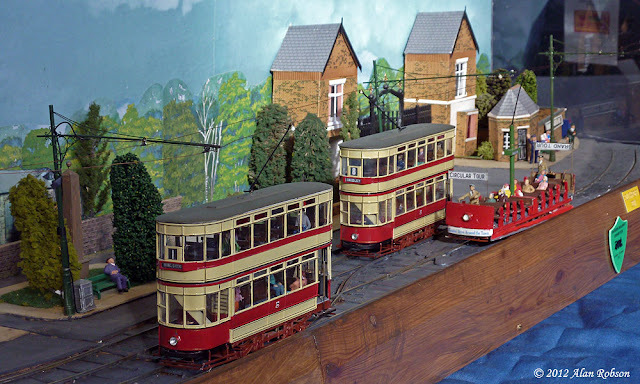 Flexities were also occasionally held up by Balloons in front, and Balloons were even noted running one behind the other, despite the plan being to slot them in between the Flexities. 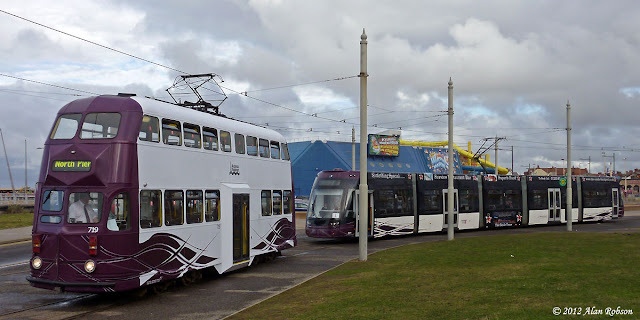 Short running was used to try and get some trams back on schedule, with at least one northbound Balloon being turned back south at North Pier. The Classic Bus North West Catch 22 buses are beginning to receive route branding. 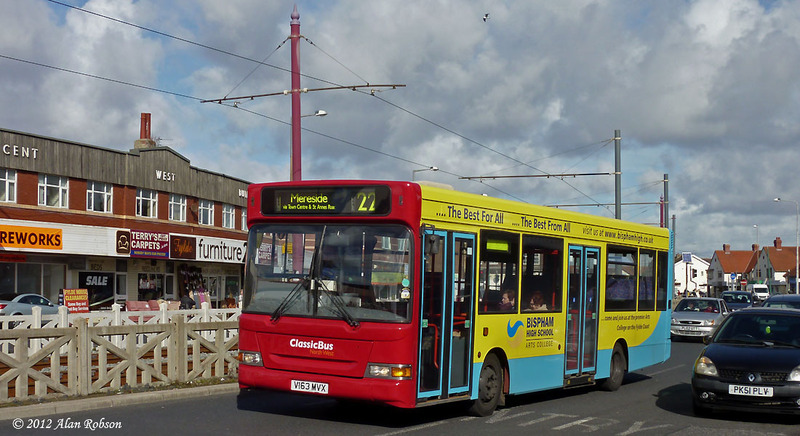 Dennis Dart X533 UAT was noted in Cleveleys carrying route info vinyls above the windows and with fare prices displayed on a side window. 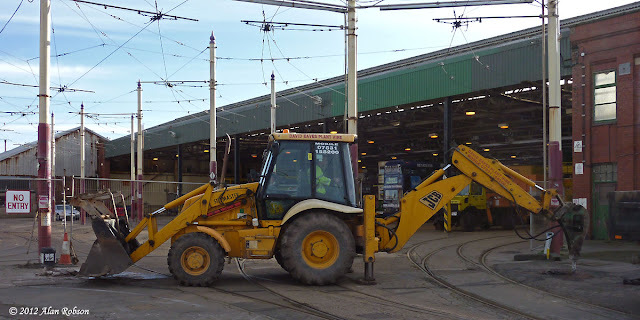 Foundation holes were being dug at Rigby Road depot this morning, in readiness for erecting a new permanent fence in front of the tram depot, to replace the temporary fencing that has been in situ for a couple of years. 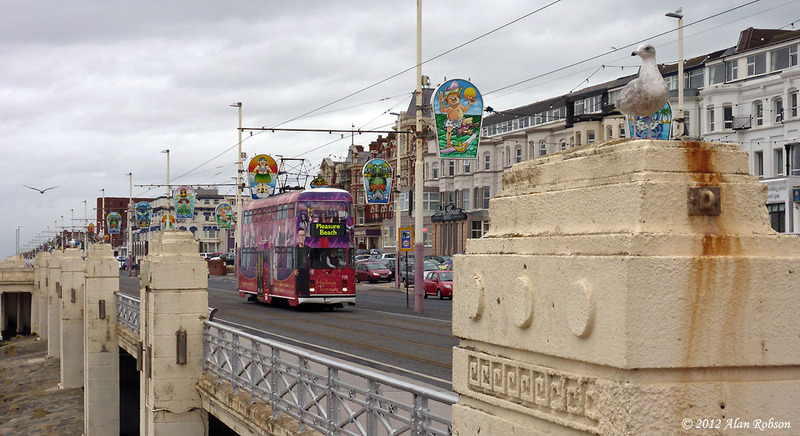 Blackpool Illuminations Department have had some Doctor Who Dalek and Tardis illuminated features for the last few years, these are normally attached close to the top of lamp posts along the promenade. 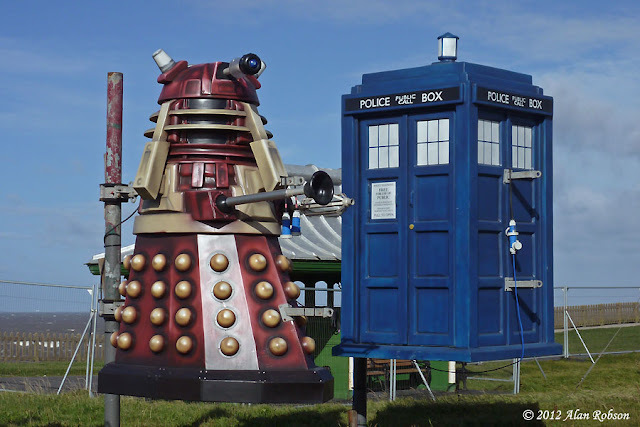 This year a tableau has been created with some of the models near to the Lowther Avenue tram stop, comprising of five Daleks and a Tardis. 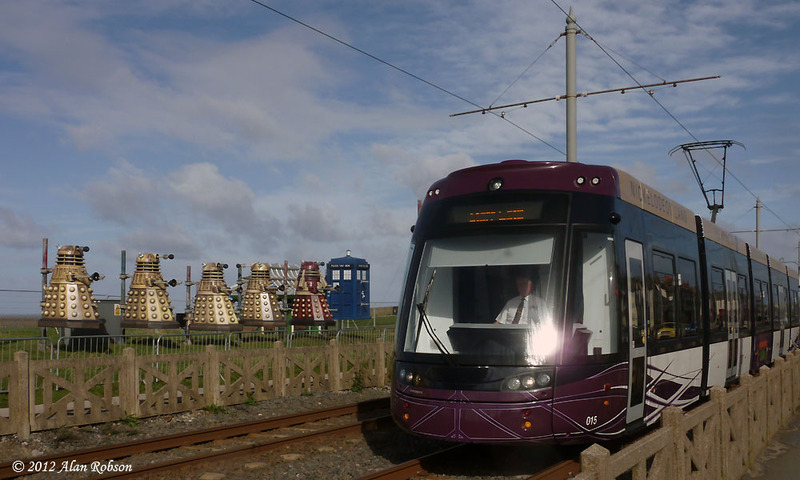 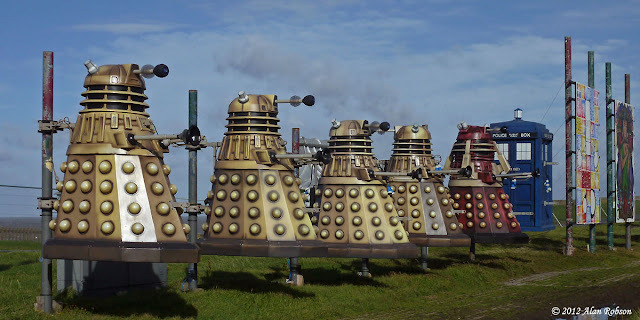 The new positioning of the Daleks makes it much easier to include them in tram photos. 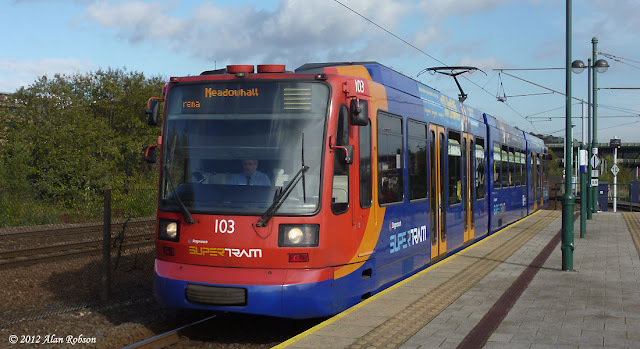 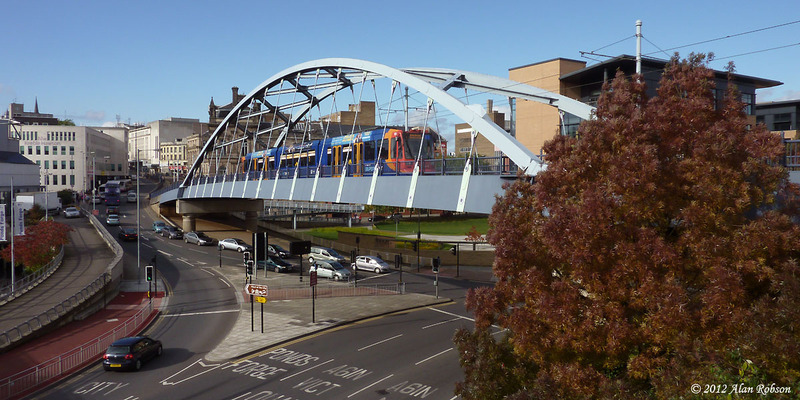 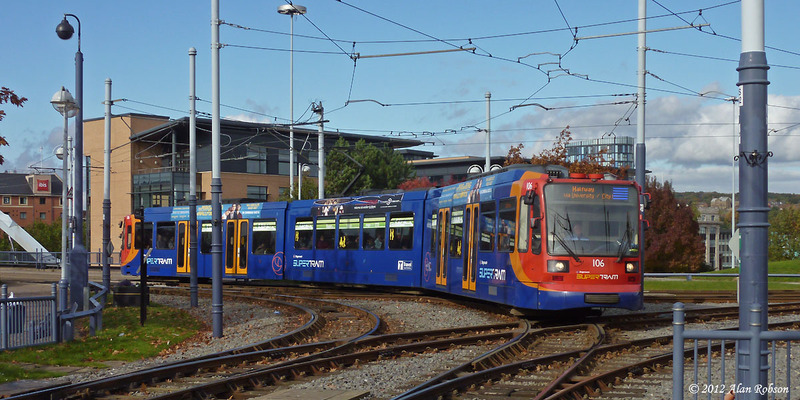 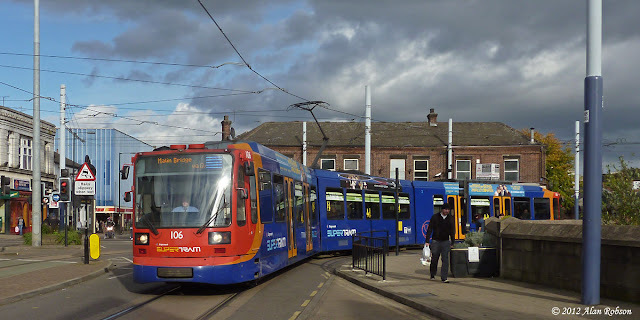 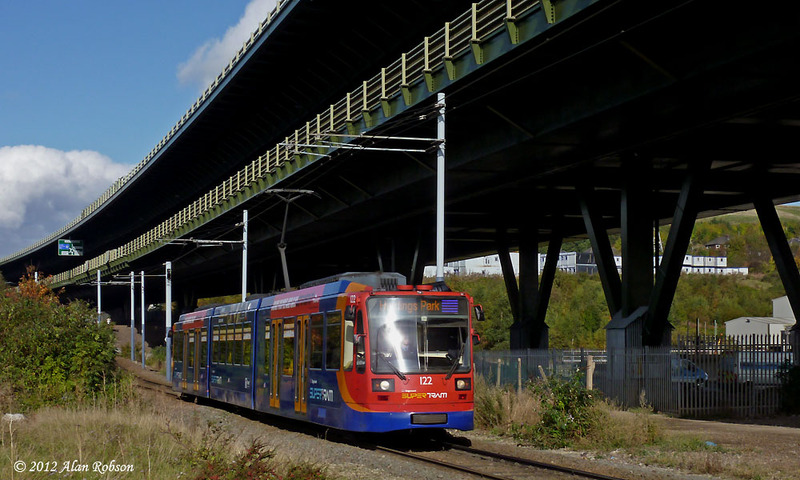 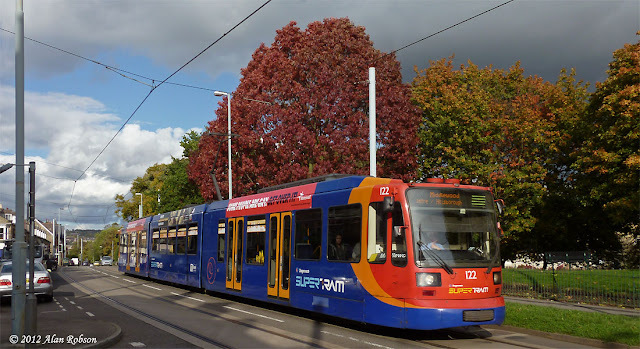 An afternoon visit to the Sheffield Supertram system on Saturday 20th October presented the chance to take a few sunny photographs before heavy cloud completely obscured the sun by early afternoon. 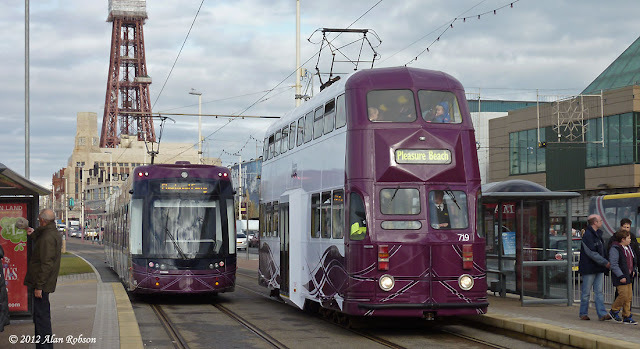 See http://www.flickr.com/photos/blackpooltrams for more photos from this visit. Harry Moore exhibited part of his 7mm scale model layout of Southport Tramway at the North West Garden Railway & Narrow Gauge Exhibition at Lytham High School on Saturday 13th October. 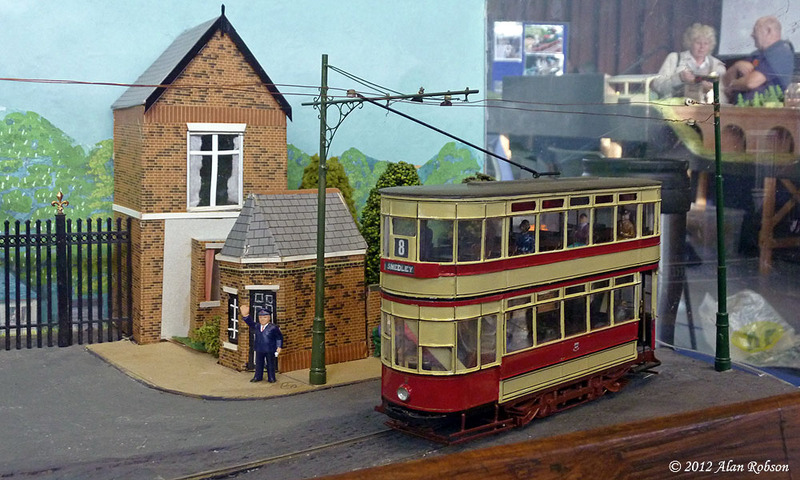 This layout is still a work in progress, there are more modules constructed but space precluded showing them at the weekend. 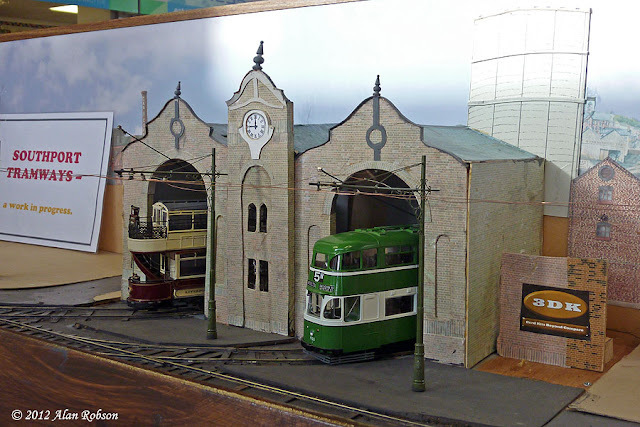 The sections that were shown represented the Botanic Gardens line and part of Churchtown, plus the Corporation tram depot at Canning Road, Blowick. 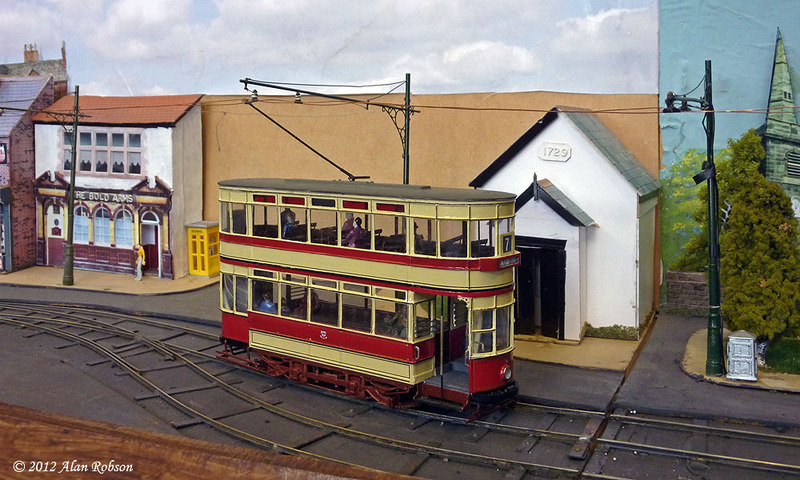 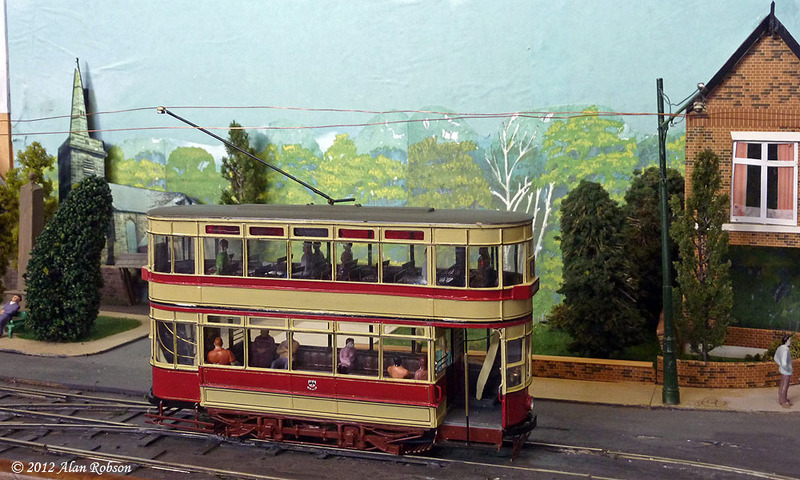 The Southport trams on the layout consisted of two excellent scratchbuilt brass 7mm models of 1901 Southport Tramways Company Brush cars, that had been fully enclosed after being takeover by the Corporation in 1918, plus a United Electric Car Company four wheeled toastrack tram. 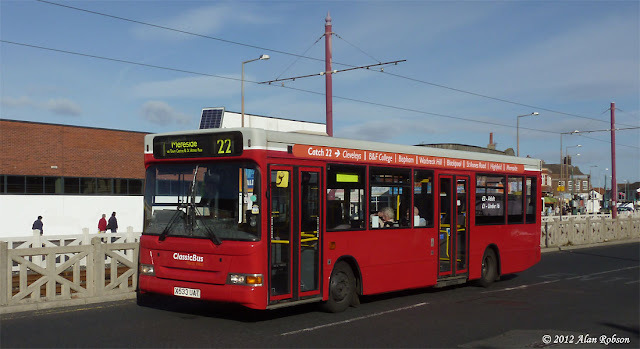 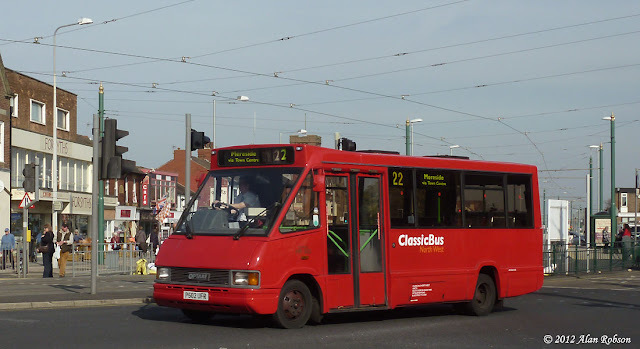 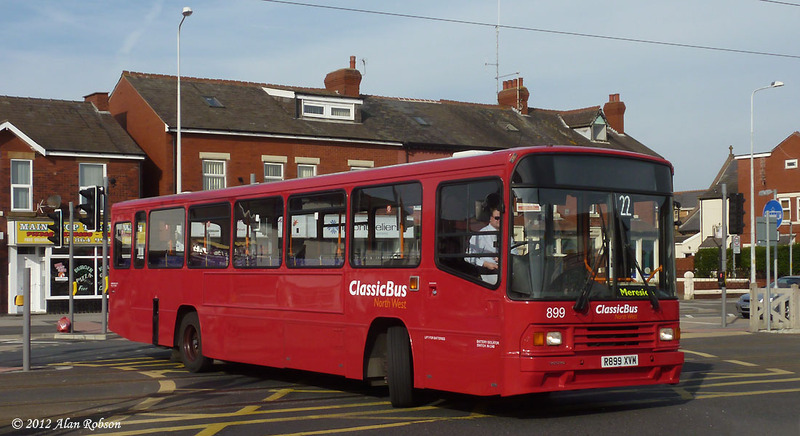 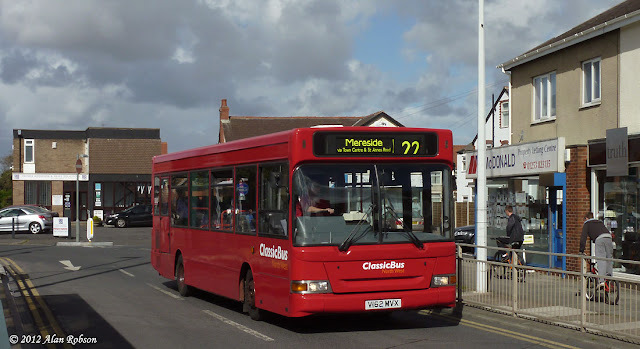 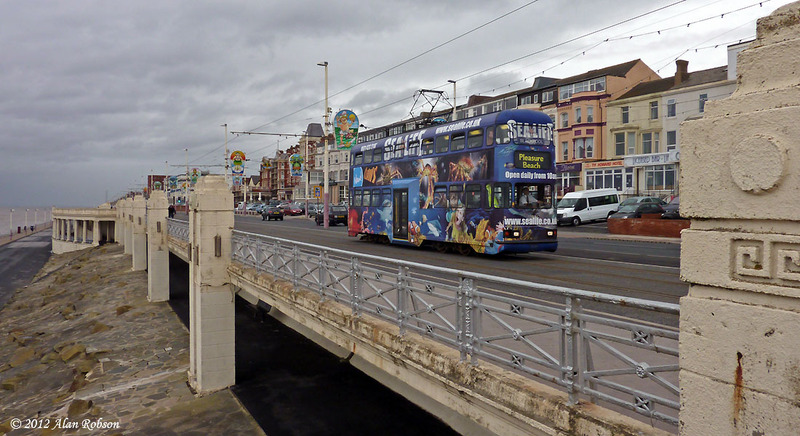 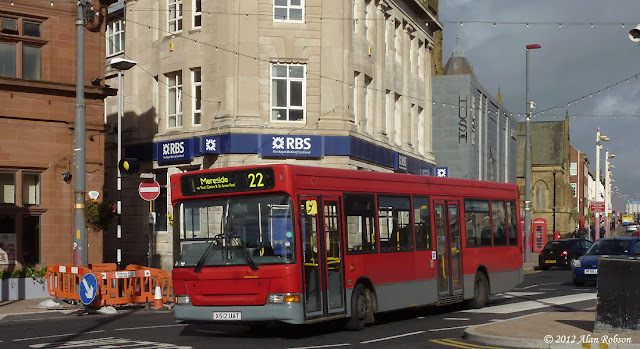 The Classic Bus North West Catch 22 route, which operates a half-hourly weekday service between Mereside and Cleveleys, has been running for several weeks now. 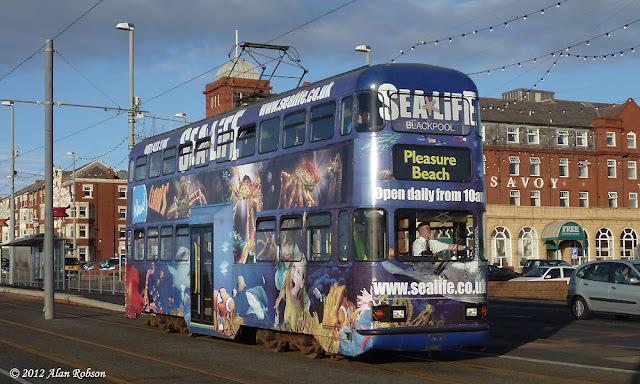 Saturday operations are currently limited to one bus an hour, although this is planned to become half-hourly from 10th November, presumably when more crew become available after the Sea Front 12 service ceases operations for the winter. 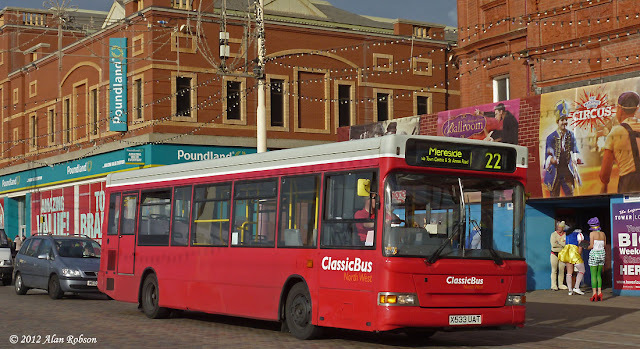 The regular performers on the 22 route are four Dennis Darts which used to operate in London, an ex Blackpool Metrorider, with the latest addition being a former Stagecoach North West Volvo B10M. The six buses most frequently used on the Catch 22 are shown here, although only four buses are actually required to operate the weekday service frequency. 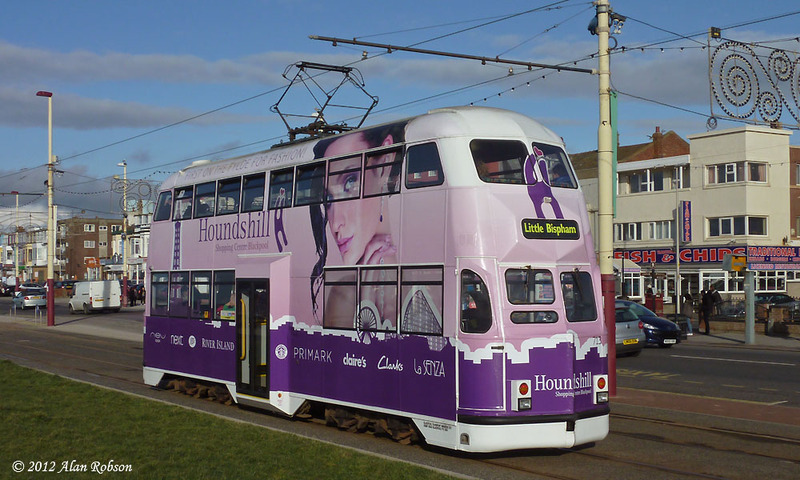 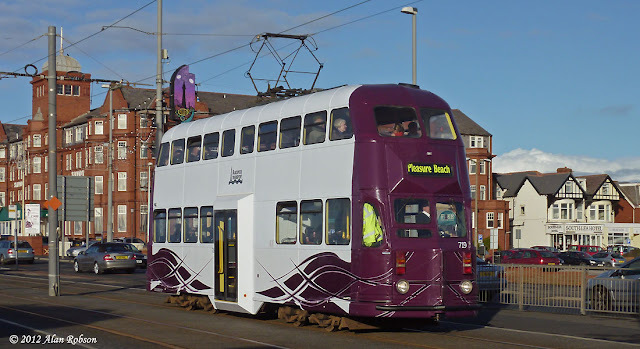 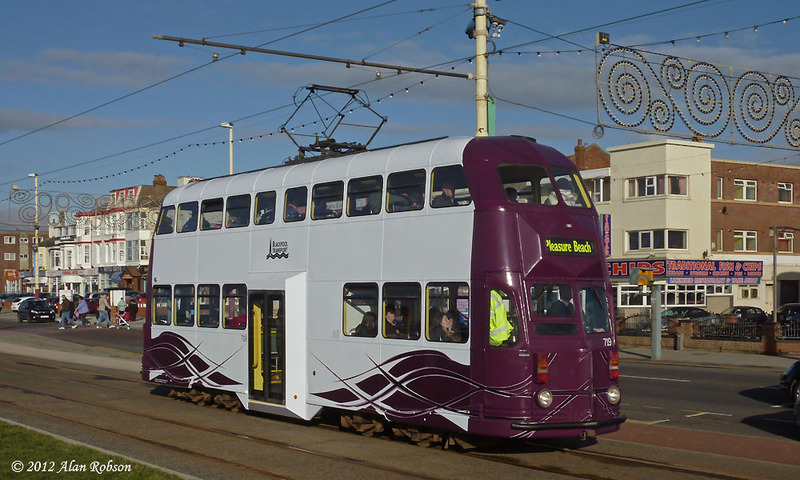 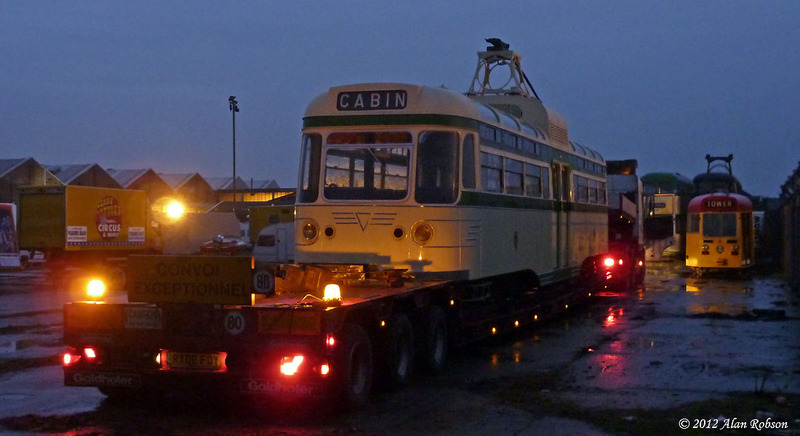 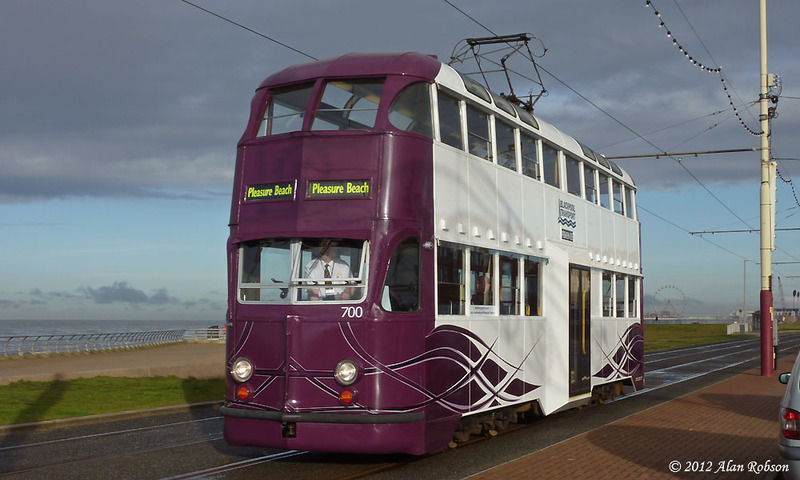 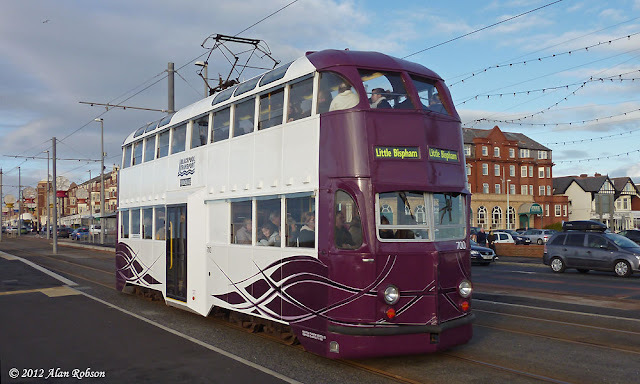 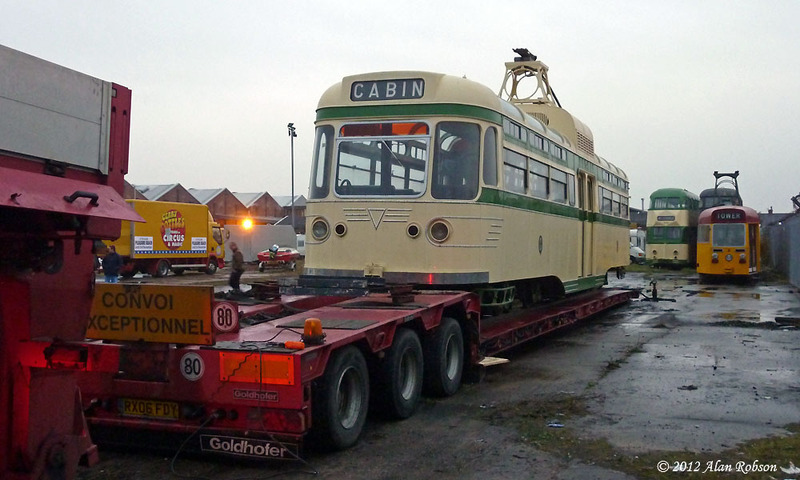 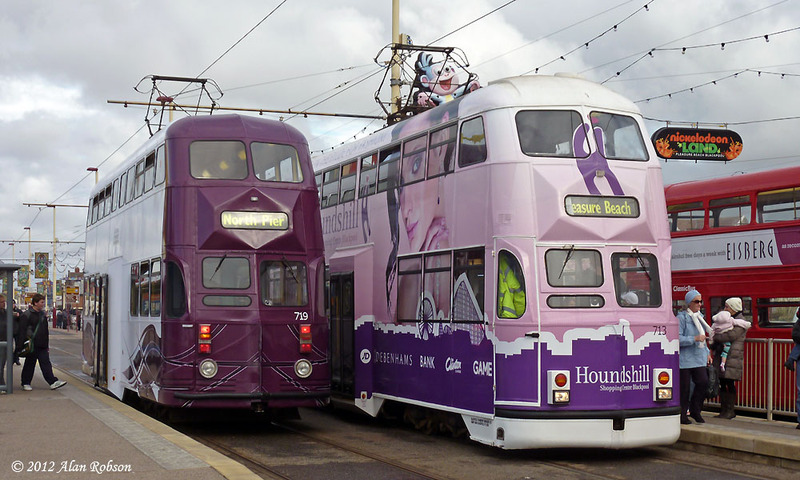 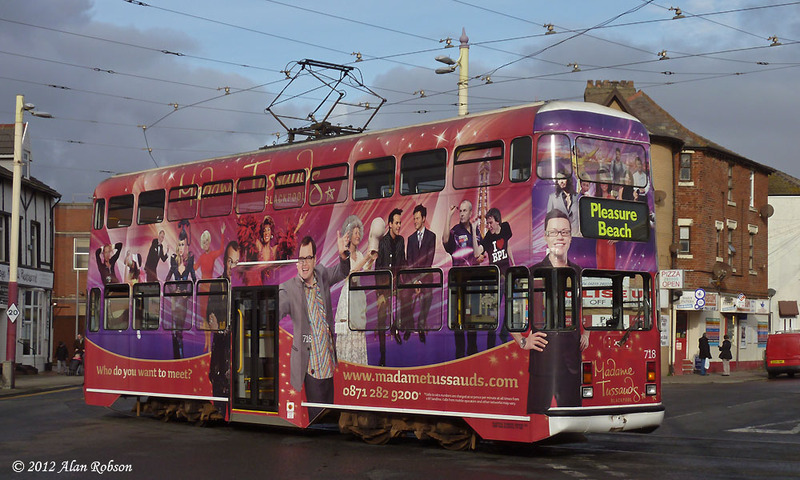 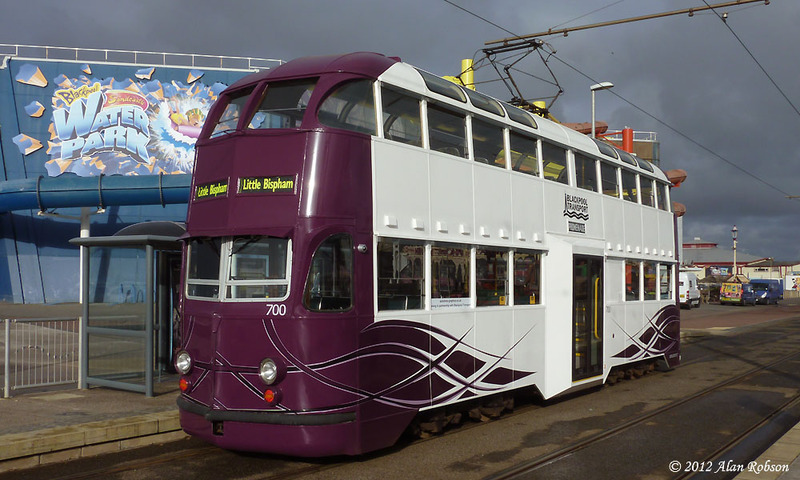 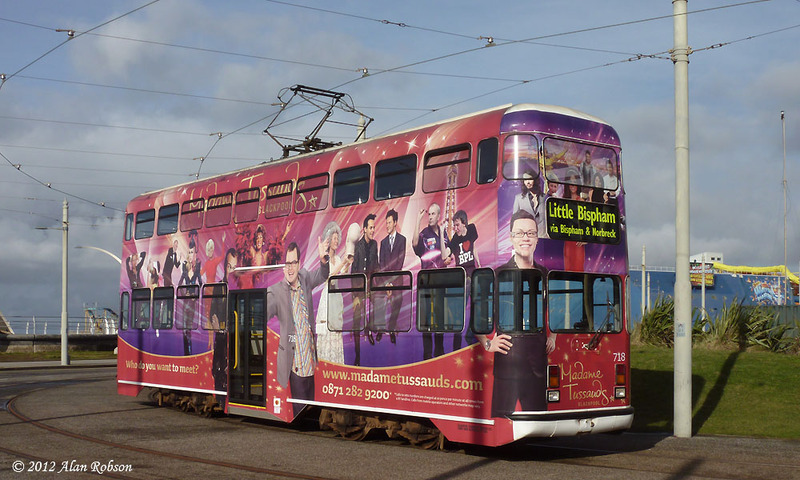 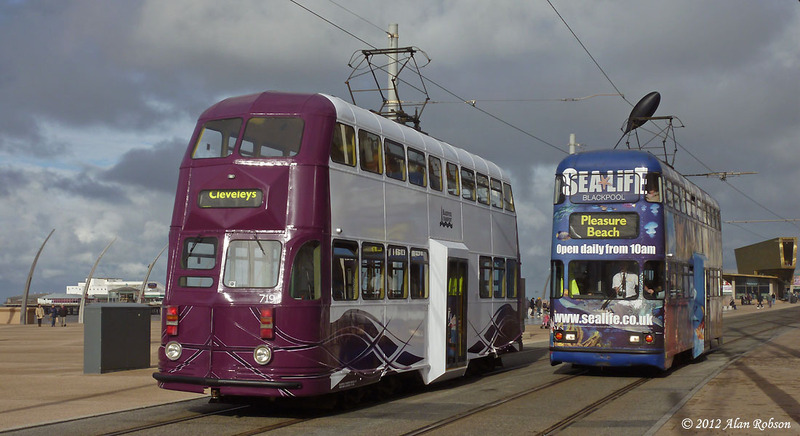 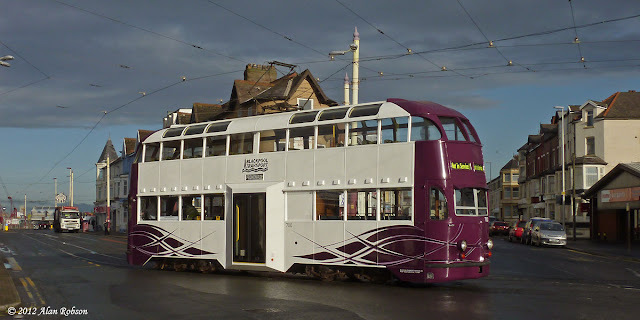 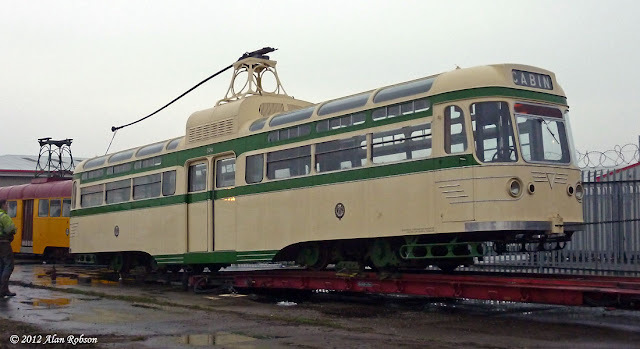 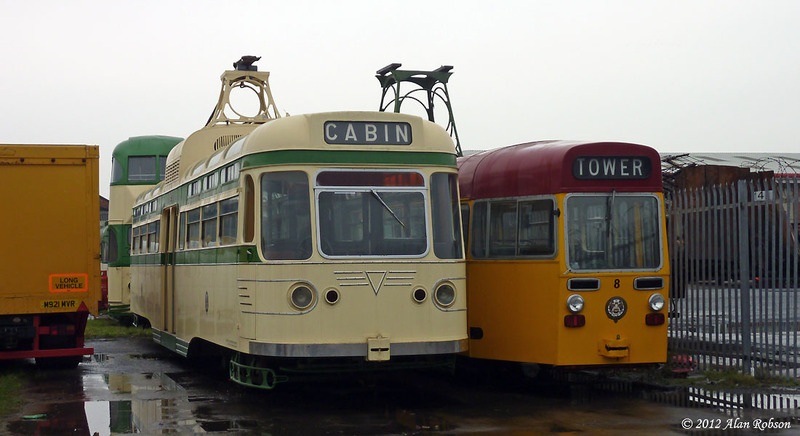 Coronation 304, which has been in open storage in Blackpool with five other Lancastrian Transport Trust trams, has departed on a short term loan to Beamish museum, with the aid of sponsorship from Trams Magazine. 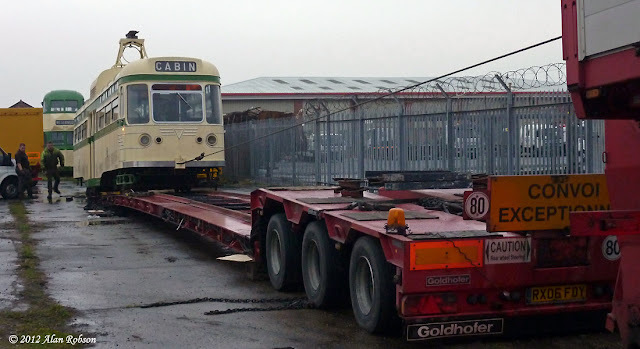 The low loader of Allelys Haulage did not arrive until 4.40pm on Thursday afternoon, leaving very little daylight left in which to load the tram. After some initial problems aligning the front bogie with the rail ramp, the rest of the loading went without incident, and the transporter with 304 onboard left the storage yard in Marton at 6.55pm.